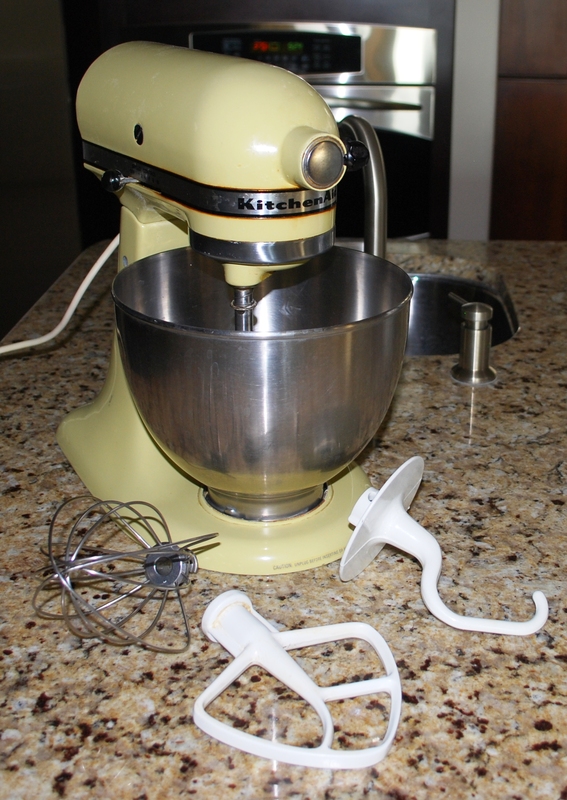 My Kitchen Aid Mixer has become an essential part of my baking because it makes it easier and faster than using a hand held mixer. If needed I can walk away from it with it on to get an ingredient, answer the phone or kiss a boo-boo. 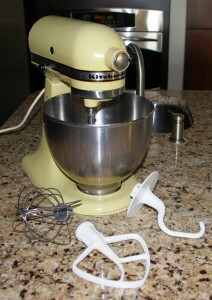 Plus I have use of both of my hands to add ingredients or pre-measure as I am mixing. I inherited mine from my Mother and that is why it is that beautiful yellow color from her era! I don’t have all the attachments yet, but I am in the process of getting them! Keep a look out for homemade pasta and different kinds of ground meats and sausage!